2 years after the tragic death of Jo Cox, a night of music, speakers, spoken word artists and live art is coming to Northern Quarter on Friday 15th June. Ed Sheeran, Stormzy, Charli XCX, Coldplay, Lianne La Havas, Royal Blood and Kwabs are among the artists backing the relaunched Love Music Hate Racism campaign. 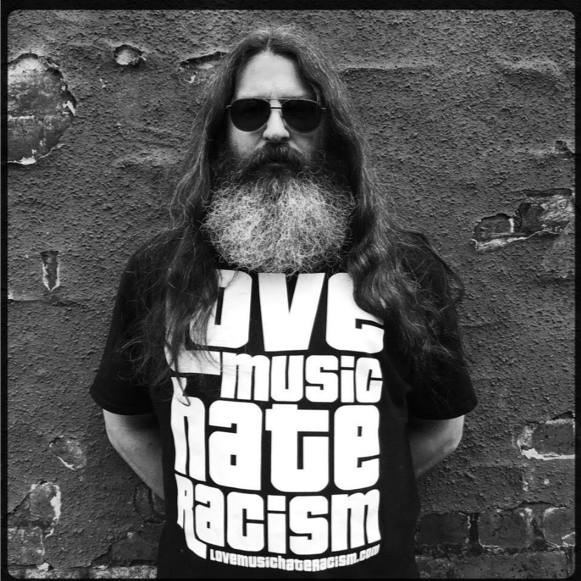 You have probably seen photos of them wearing the famous Love Music Hate Racism logo and t-shirts. The campaign is finally coming to Huddersfield with a special gig. 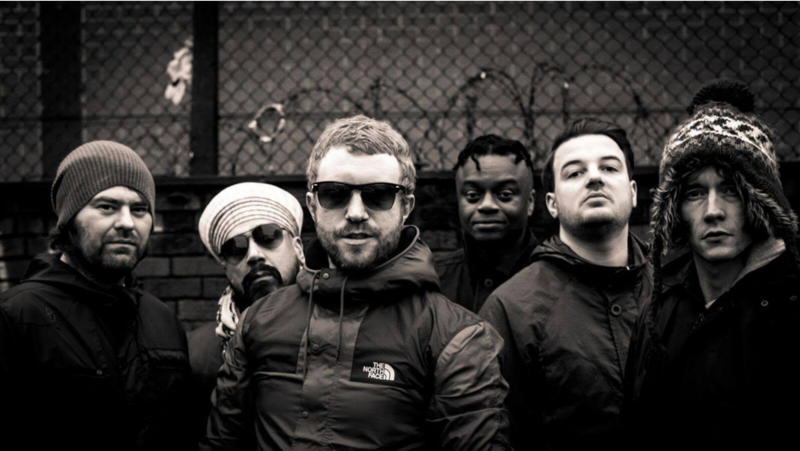 Organised by singer and music producer Pat Fulgoni, the night promises to bring together different forms of performance for the common cause of combating racism in the music industry. The evening also commemorates former Batley & Spen MP Jo Cox, who was tragically killed two years ago. Among the performers at the event are reggae duo Logan and Manley, soul and electro group Winachi Tribe, Savvy aka Asaviour, Pat Fulgoni himself, and many more. The event starts at 8pm, and tickets are £3 for concessions and £4 for adults on the door. 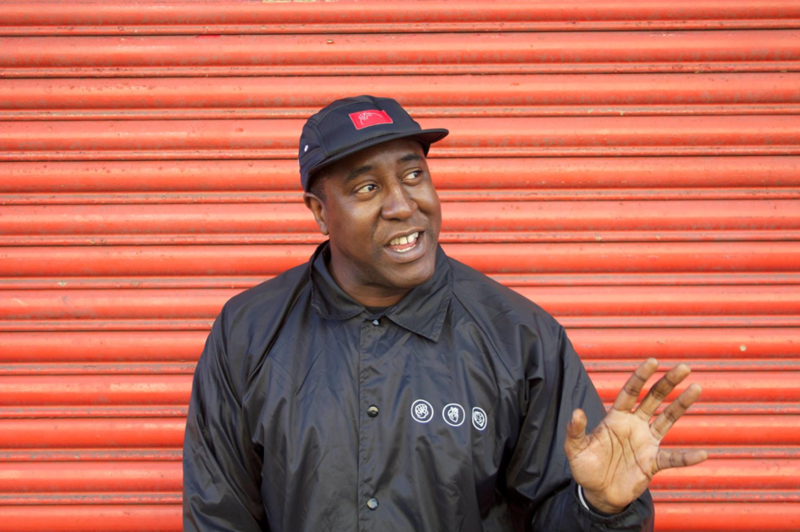 Now in its 12th year, multi-venue inner city festival Live at Leeds once again brought an array of musical wonderment to the Northern metropolis on Saturday 5th May. With an abundance of genres and venues to choose from, we headed out to check out what this year’s offering had in store. We began our festival with local lads Heir. As usual, frontman Tom Hammond’s vocals are totally belting, and the indie-pop bunch pay like their lives depend on it. With catchy, 80s synth pop hooks and tender moments to boot, this Live at Leeds regulars go down an absolute treat as the opening act. Next, we trek down to The Wardrobe for an acoustic set by Elephant Trees songstress Martha Phillips. Her eclectic mix of covers and original tracks captivates the entire room. Her version of Ariana Grande’s Dangerous Woman is exemplary, and her usage of loop pedals for harmonies brings something fresh and exciting to the plate. She is definitely one to watch in the future. Brighton boys THE RPMs completely blow the roof off of the swelteringly hot Nation of Shopkeepers. Their happy-go-lucky style is a perfect match for the slightly inebriated crowd, and frontman Jack Valero holds them in the palm of his hand, even enticing several people up to have a bit of a dance. Perfect mid-afternoon listening. Calypso-flavoured rockers Cassia are up next at The Wardrobe, and their sultry surfer rock vibes are a match made in heaven with the exotic weather just metres outdoors. Hit single 100 Times Over generates a wonderful atmosphere in the room; wonderfully chilled out listening for such a beautiful sunny day! The last band we catch at Live at Leeds are The Magic Gang. We spend quite the while queuing outside the venue, to be finally let in (but only to the balcony area), where there were that many people all around the upper level, we could barely catch a glimpse of the group. Their set sounds absolutely fantastic nonetheless, with indie-pop riffs to boot, delighting the completely packed out crowd. Overall, unfortunately Live at Leeds was more of a fizzle than a bang for us this year. 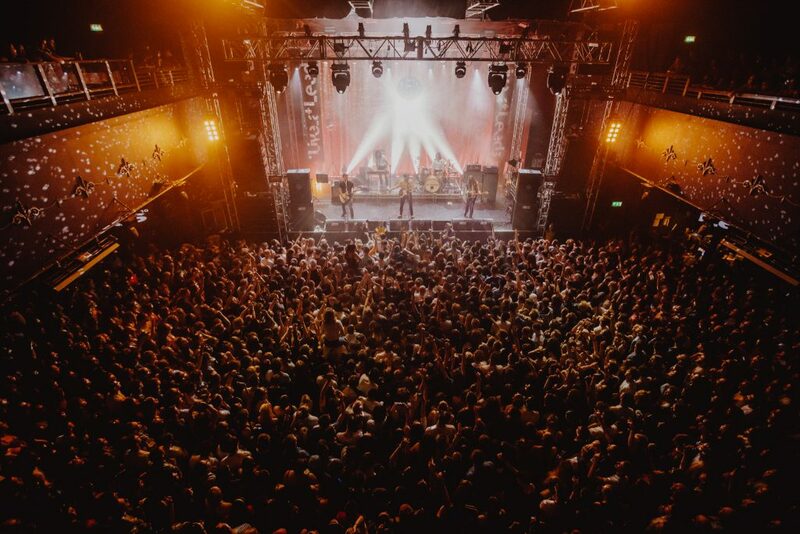 I’m certain the incredibly warm weather didn’t help matters – venues were almost unbearable in the heat if they came close to reaching full capacity. Nevertheless, the acts we did catch played INCREDIBLY well, therefore that is not what is it fault, and it’s hard to put your finger on what exactly was missing. With all being said and done, Live at Leeds is a brilliant festival showcasing a perfect mix of new music and old favourites, and it’s one we hope sticks around for the foreseeable future. A rainy Monday night in Manchester brings a mixture of new talent and heritage to Jimmy’s. First up was solo guitarist Jamie Ferguson, bringing beautiful percussive acoustic guitar melodies. His set is thoroughly enjoyable; the balance between chat and track is just right, and the mix of humour and serious talking points adds to the ambient atmosphere. He announced mid-set that he has a headline show coming up at this very venue on the 2nd May, which is thoroughly impressive considering he’s the first on stage tonight. Next up were local lads Voodoo Vali. Their dirty, funk/punk sound is a stark contrast to the soothing acoustic jams of Ferguson, but this simply showcases the eclectic offerings of Manchester Mid-Week Music Club, who hosted the gig. Their set was slightly plagued by a few technical issues (namely frontman Nathan Wilson breaking TWO strings, leading Interrobang’s Stephen Griffin to step in as the saviour and bestow a replacement). This didn’t, however, take away from the sheer energy and fantastic playing showcased by the trio. Headliners Interrobang‽ were an absolute sight to behold. 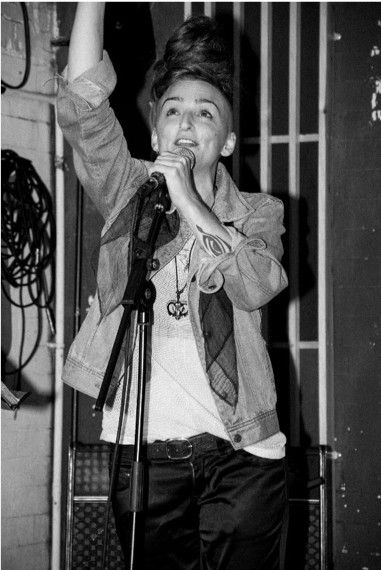 Their set began with lead singer Dunstan Bruce enters from the top of a staircase leading into the venue, speaking through a megaphone on his descent to the stage. Highlights of the performance included in Mad as Hell, in which Bruce left the stage once again and wandered around the crowd, shouting ‘I’m mad as hell, and I’m not gonna’ take this, anymore,’ *cue massively bewildered looks from the crowd*. Similarly, in Breathe, where he held aloft a placard reading the lyrics ‘Unrest is progress, contentment, death,’ words which pretty much sum up the group and their ethos. The set is littered with euphonically pleasing sound loops, adding something unique and original to their already fascinating show. Interrobang‽ are bring something incredibly refreshing to a music scene arguably oversaturated with people with nothing much to say; discussing topics of ageing and everything that comes with it, keeping relevant and simply wanting to make a difference, which as well as the music is more than enough to earn my respect. 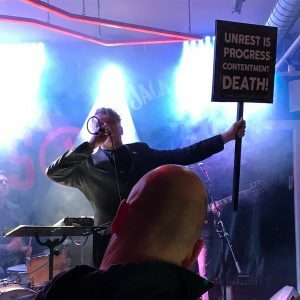 Hailing from a combination of both Brighton and Leeds, Interrobang consist of former Chumbawamba (of Tubthumbing fame) members, frontman Dunstan Bruce and drummer Harry Hamer. Joining forces to make a formidable trio with Stephen Griffin (ex-Regular Fries guitarist). Formed in 2012, the band have nurtured their current catalogue of music through a string of live performances. But now, they are set to finally release their long-awaited 14-song-strong debut album. With lyrics littered with comic pop-culture references, heartfelt personal accounts and political commentary, it’s hard not to get invested in these short-lived masterpieces. The album’s opener basically states the feelings of Bruce as plain as day; the spoken words resonate deeply with the listener, especially when he passionately states, “I’ve still got something to say, I don’t want to fade away.” Asking for A Friend is a kind of self-deprecating lament on feelings of turning 50, but rather than a mournful ballad, its humorous tone keeps the listener invested, as well as the storytelling skills which Bruce has mastered so eloquently on this record, which continue into protest anthems Are You Ready, People? and Mad as Hell. Hamer’s simple, punchy drum tracks keep the songs moving at a quick pace through the entirety of the album, and Griffin’s perfect, jangling Who-esque guitar tone strums the exact chords your ear wants to hear. The offering ends with the wonderful, catchy Am I Invisible Yet? With a cheeky nod to The Who with the lyric, “more and more I’m talking about my generation.” A perfect conclusion to this rollercoaster ride of emotion. Erasure are probably best known for their 80s heyday of flamboyant dance numbers, most notably their super-smash hit ‘A Little Respect’. But now, the synth pop duo, comprising of Andy Bell and Vince Clarke have taken their most recent album, 2017’s World Be Gone, and completely turned it on its head to release something completely experimental and different. World Beyond sees the pair team up with Belgian post-classical musicians Echo Collective to give their usual 80s dance bops a new, eclectic edge which sounds eons apart from the original recordings of these tracks. Harmonic strings and heartfelt delivery replaces their usual bravado-littered electro-pop sound. 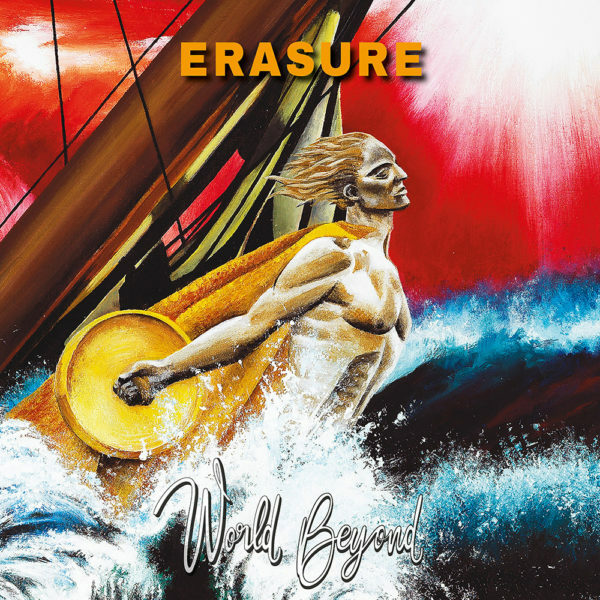 Nevertheless, Bell’s unmistakable vocals drag you back to the realisation that these are still Erasure’s original compositions. The album’s lead single Still, It’s Not Over is a beautiful standout track on this offering; it could easily be the emotional crescendo of a west end musical and wouldn’t massively stand out from the rest of the soundtrack. However, this unfortunately is also this album’s slight downfall – at times, it’s all a bit TOO dramatic. For those not particularly into the slow, ballad-esque lamenting style of music that comes across here, this will not be a pleasant listen. But, for those who can appreciate a classical reworking of an originally synth record, it will be a dream to the ears. Some of the reworked tracks work better than others. The contributions of Echo Collective bring a new sparkle to before unnoticed gems. Songs like Be Careful What You Wish for and Love You to The Sky definitely benefit from the new emotive piano and strings melodies. Whereas A Bitter Parting becomes a little too akin to a jolly jamboree that could be sung on a trip out to sea. A packed-out Harley plays host to some of the hottest up and coming UK bands currently on the music scene on this icy Friday night, though the weather certainly doesn’t chill the atmosphere inside. First up are Sheffield locals Idle Ross, their frontman looking slightly like an off-kilter Liam Gallagher tribute. Besides that, the group stress how honoured they are to be playing with the other bands on the line-up, which is very endearing, and warms the crowd to them almost immediately. Their sound is simplistic, but nevertheless enjoyable (think if Oasis and Arctic Monkeys made some kind of weird supergroup), and they get the crowd suitably warmed up. Next on the stage are The Wholls. Frontman Tordy Cocchiarella is a breath of fresh air, dressed sharply in a suit jacket; his charming Bedford accent shining through every note he sings. It’s clear to see why The Wholls have received rave review after rave review – their live show is electric. Passion oozes from the stage; an absolute delight to witness. The crowd gets particularly excitable during hits X21 and Roll Out, but it’s their cover of Gossip’s Standing in the Way of Control which generates the most energy in the set. Guitarist Santina Cocchiarella’s screaming guitar licks are perfectly suited to bassist Joe Stevenson and drummer Daniel De Feo’s airtight rhythm section; these guys are on a higher level than many of their alt-rock contemporaries, and I wouldn’t be surprised to see them on many festival line-ups this Summer. Bang Bang Romeo are hard to sum up in a review, purely because they are nothing short of incredible. Lead singer Anastasia Walker is one of the best female rock vocalists of this new-age generation. As soon as she storms onto the stage in a blue fluffy jacket with accompanying stripes (which wouldn’t look out of place on a children’s TV show – in the best way possible), it’s clear that she and bandmates, Ross Cameron (guitar) and Richard Gartland (drums), mean business. Much like The Wholls, the cover they chose to attempt was definitely the highlight of the night. Their slightly heavier version of Radiohead’s Creep is nothing short of awe-inspiring, with Anastasia’s vocal performance again capturing the attention of everyone in their room – hers is a voice that demands to be heard, and there’s no complaints to be heard from the bustling hordes in front of her. As the night draws to a close, Bang Bang Romeo bring the slightly inebriated crowd practically to their knees, begging for an encore. 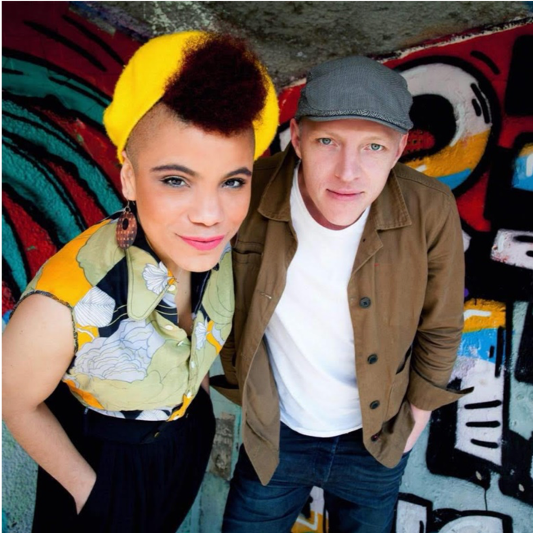 They happily oblige with slow jam Johannesburg, which simply displays the pure variety they’re capable of with their genre-spanning repertoire. This entire night showcases the sheer drive and determination of smaller bands having the ability to engage the attention of the masses. 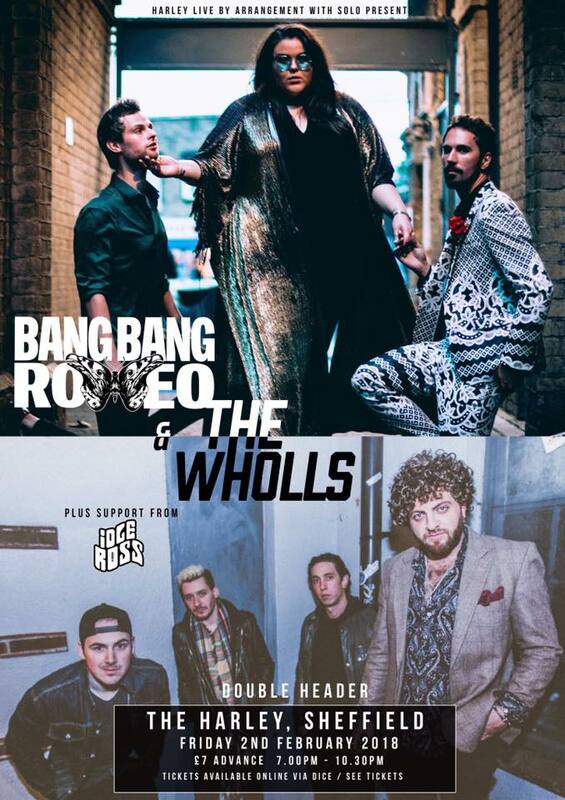 With Bang Bang Romeo heading to the states in the near future to record their debut album, and The Wholls embarking on a huge UK-wide tour in March, it just shows how hard work and having something unique and different can really make a difference.